DV8 Creative began working with Askew in 1994, creating the Pop-Out Toaster - a campaign to grow a database. 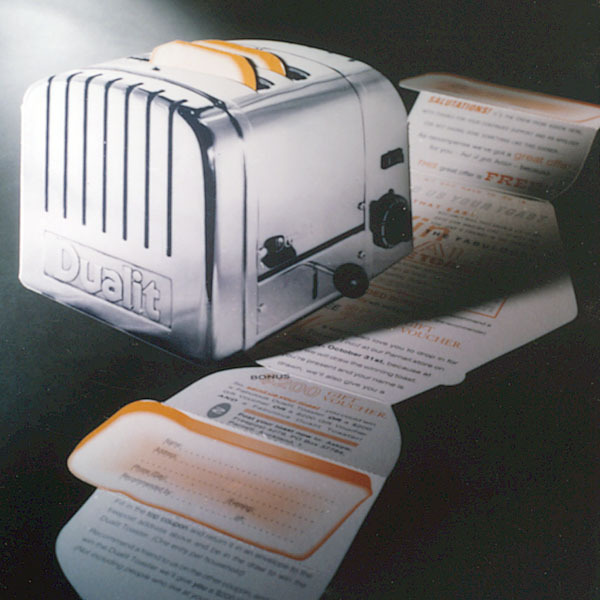 The die-cut Dualit toaster had response forms in the shape of toast slices. The response was an overwhelming 55% with a positive result on sales. Subsequently the new mailing list was exploited and the brand quickly became established. "Interesting Things" were initially posted every few months, but this later settled down to a regular six-month calendar and occasional promotions. 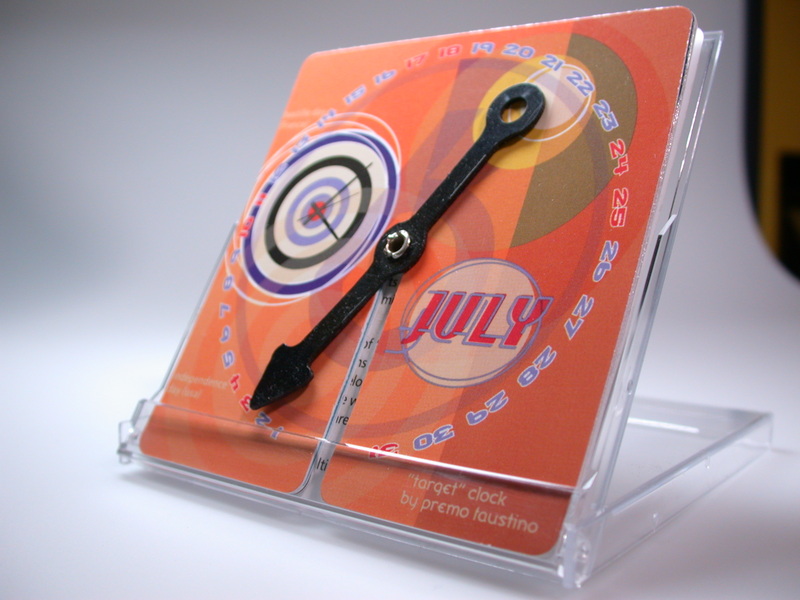 Each calendar featured a unique theme and explored different art-direction and techniques such as the "Time's Arrow" calendar here. This was an exploration of the theme of time, with a series of my illustrations of various clocks from the store, a countdown to the year 2000. Previous issues featured photo-illustration by Chris Williams, or photo-montage and illustrations by myself. This is a small edited archive of some of the more interesting graphics and design projects of the last couple of decades. These have included identity graphics, branding, promotional graphic design, web and interactive design, packaging, book design, catalogues, brochures, and some architectural glass projects. Prior to founding DV8 Creative, Stephen worked as a glass artist specialising in architectural graphics and sandblasted glass, exhibiting in NYC in 1992, and with much work still in place around NZ.